I originally picked up this game after playing it at lunch with my friends, it looked wacky, silly and fun. My friend had it for SNES so that’s what we played it on, although it was completely in Japanese and the items were very hard to distinguish from one another. The game was very easy to pick up, using rock-paper-scissor mechanics for many of its finer gameplay elements. You’ve probably never heard of “Dokapon Kingdom” and if you have it’s more than likely you have never played it. 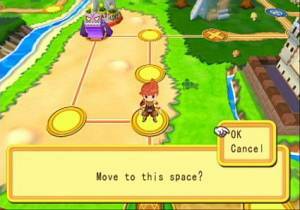 Originally produced in 1994, Dokapon Kingdom (Dokapon 1-2-3 in Japan), is a series of games uniquely classified as “Board game RPG” and contains elements that are familiar to players of Final Fantasy and Mario Party. There are four currently available for SNES(Japan Only), remakes on the PS2 and Wii and a unique version for the DS called “Dokapon Journey”. Although there are many slight changes from version to version (classes, items and skills, and board design tend to vary game to game) the formula is always the same, monsters are invading Dokapon Kingdom and The King of Dokapon enlists the players to go free the towns from boss monsters that increase in difficulty as you go further out into the board. Whoever gets the most money by the end of the game gets to marry the princess. Beyond the basics there are many gameplay quirks that make this game uniquely strange and produces many hilarious results. The ability to rename other players after killing them never ceases to amuse me, and the fact you can attempt to steal from stores can give you a very early advantage or disadvantage in the game depending on whether you are succesful or not. If you do fail, a bounty is put on your head and you are not allowed to enter any town or store for the rest of that week, which can lead you to become the number one target of your fellow Dokapon heroes. Players will try to roll the exact number of spaces to get to your spot and if they do you will have a PvP battle. To be fair the PvP is almost the exact same thing as PvE, except for the rewards. The battle often turns into a game of rock, paper, scissors , each player chooses a card at the beginning of their round (which is dependant on whose turn it is) and the card determines the order of play for that round. Each attacking or defending player gets four options, Attack, Strike, Magic Attack and a fourth class specific ability for attackers while defenders get Defend, Counter, Magic Defend and Run. Attack is a basic attack, which defend can block for less damage, strike is a heavy damage which can normally kill anything in 1-2 hits however if it is countered the attacker will have the damage reflected back, while magic attack is based on your magic stat and magic defend only reduces damage from a magic attack. If you lose this battle the attacker will steal something or prank you, stealing includes your armor/weapons which can leave you defenseless end game, items, money, or a town(towns increase your money supply if you take taxes from them and automatically increase your worth and can be obtained by beating bosses). Pranks may include changing your hairstyle to bald or “Poop”, marking up your face in various ways or changing your name to the victor’s choice. 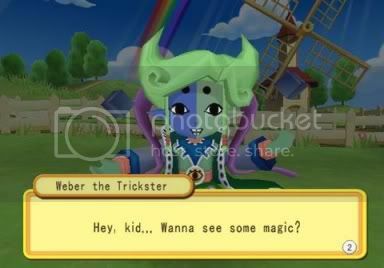 The game does come with its downsides, in the Wii and the PS2 versions of the game the voice acting is terrible(of course this could be on purpose knowing Dokapon). The game is unbalanced with leads constantly changing between players, abilities are seemingly useless for some players and at points there are annoying fetch quests that take you across the entire board. At times you will have to grind against enemies to beat the story bosses. Waiting for revival after death can take several turns as well, making you loss precious time opposed to other players. It can also take a few dozen meetings. to get a multiplayer game done, the game is long. In short, Dokapon Kingdom is an amazing game and you should play it, and get your friends to play it too because it’s much better multiplayer. The gameplay does take a little getting used to but once you do it is a very worthwhile investment, although one game might take 30 hours. First Starbound Gameplay Video has appeared!